This is Deifer a gorgeous German Shepherd. Sadly he is no longer with us. 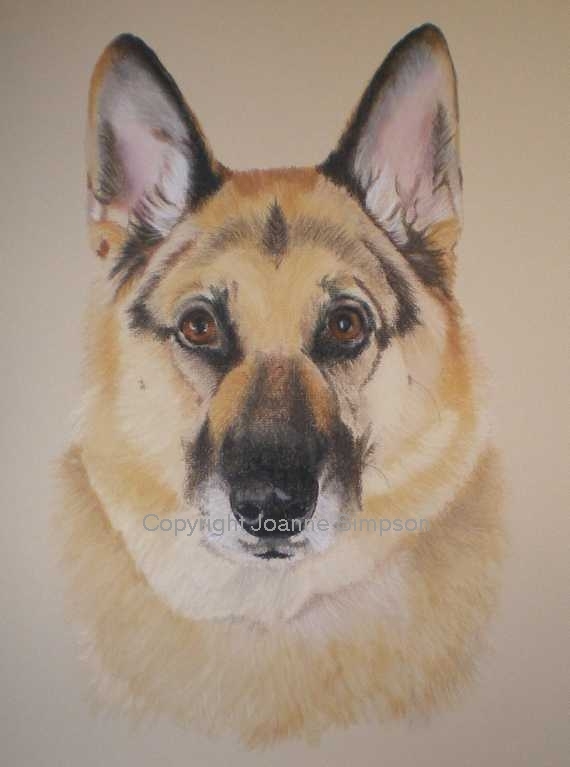 Rob, his owner had commissioned me last year to do the two German Shepherds that he currently owns( India and Wizard )I was delighted when he asked me to also do Deifer's portrait for him. The photo that I worked from, although clear, was very small and when I tried to enlarge it on the computer it did lose some detail. This caused me a few problems but with Rob's help and a magnifying glass for the original photo I was able to complete the portrait.